Norstar voicemail systems open up a world of benefits for your Nortel Norstar ICS phone system. We have the new Nortel Norstar Messaging 100 voicemail (formerly CallPilot 100) or Messaging 150 voicemail (formerly CallPilot 150) system to suite your requirements. 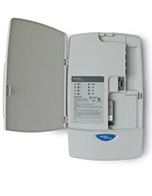 We also offer fully refurbished Nortel Meridian Norstar StarTalk Flash voice mail systems at wholesale prices. Telephone Magic Inc. is a leading wholesale supplier of Norstar Messaging (formerly CallPilot), StarTalk Flash and VoiceGate voice mail systems for your Nortel Norstar ICS phone system. Why pay more when you can add voicemail to your existing Norstar phone system at a fraction of the cost? 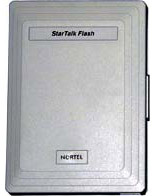 While Norstar CallPilot/Messaging is the latest Nortel Norstar voice mail product, older Norstar systems may require the StarTalk Flash Nortel platform. The Flash is only available pre-owned (refurbished) but comes with the same one-year warranty as the Norstar Call Pilot. All Norstar Voice Mail systems feature the benefits of confidential messaging, improved staff efficiency, enhanced customer service and reduced telecom costs to your business. *Important Note: As of May 1, 2005, Nortel has re-branded the CallPilot voicemail solutions as "Messaging". The new names for the CallPilot 100 and CallPilot 150 are Messaging 100 and Messaging 150. To add to the confusion, there is still a CallPilot application from Nortel. Because of the enduring popularity of the CallPilot name, we continue to refer to these systems as "CallPilot", although we will also show their new names as appropriate.